Ed Motta : "When I was asked to be an ambassador for MPS and to choose one album from the catalogue for a reissue, I was honored – and maybe a bit overwhelmed. The first two obvious selections that came to my mind where Mary Lou Williams’ choral spiritual masterpiece “Black Christ Of The Andes” and Bill Evans’ “Symbiosis”, an album that changed my life. But I was egoistic. 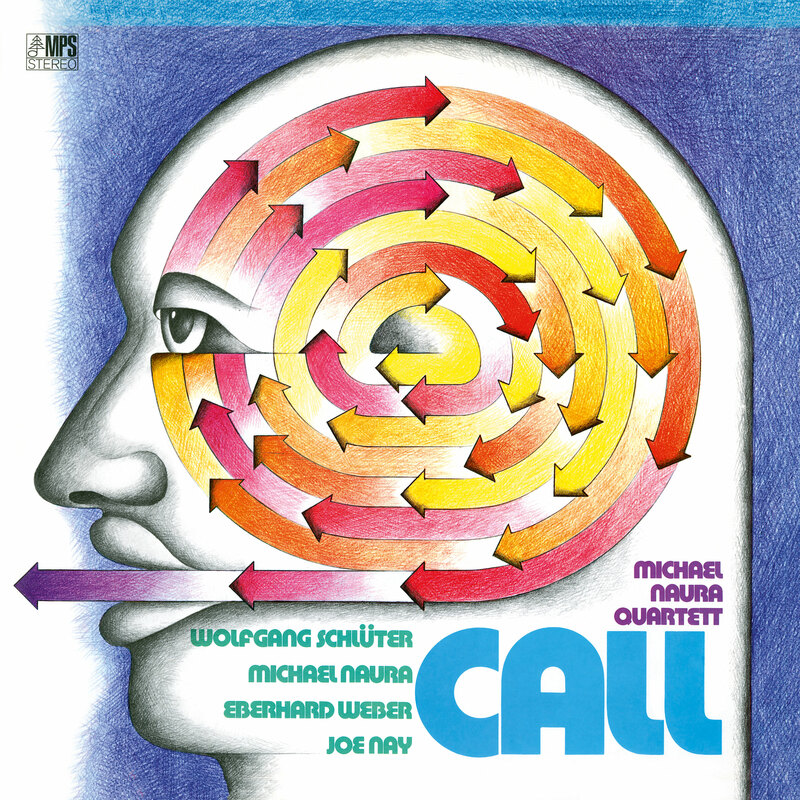 I am still searching for a good copy of “Call” by Michael Naura and I knew if we reissue the album, I will finally have not a good, but an excellent copy. In my early days as a collector I first heard of Michael Naura because of the album “European Jazz Sounds”, still one of my favorite European Jazz albums. Not much later I bought his album “Vanessa”. And then I got “Call”. I truly love the album and its sound. People often say that vibraphone and Fender Rhodes do not match perfectly, as they are so close in terms of sound and texture. But this album proves how wrong this statement is. There is a certain Dave Pike sound to Wolfgang Schlüter’s vibraphone on this recording with the distortion using a certain amplifier. Also in the Rhodes sound you can hear that Michael Naura recorded with a particular amplifier. I really like Michael Naura’s approach as a soloist and arranger a lot – and as an organizer. He thinks in that typical European Jazz style that shows a deep classical influence. There is obviously a different way of organizing that music, the songs and everything, really, at play here. The stand out track to me is “Why Is Mary So Nervous?”. I remember when I had my radio show about rare vinyl on Brazilian radio called “Empoeirado”, which means “dusty” in English. And this track turned out to be a sort of hit on this radio show. I also programmed it when I made the selection for the Brazilian airline Varig in the late 90s. It always gave me a thrill to know that Michael Naura was playing on the planes of this Brazilian Pan Am. Years later I went to Japan for the first time and I discovered a mint copy of “Call” in a record shop there. Unfortunately it was so expensive, funnily enough because of the track “Why Is Mary So Nervous?”, which also had a certain cult following there. Collectors really like this track in 6/8. Well, now I finally have the chance to add a perfect copy of “Call” to my collection. I am always extremely impressed with the quality of the new MPS reissues. To be honest: some of them sound better than the originals. The George Duke albums in the new box-set I own, have a better sound than even the original MPS pressings. The new remastering is absolutely sublime. Just right for MPS, just right for “Call”.